Dubai Airports has confirmed operations teams at both airports are ‘good to go’ for the commencement of the 45-day-long refurbishment of the southern runway at Dubai International (DXB) set to begin tomorrow (April 16). The runway is nearing the end of its design life and requires a complete upgrade to accommodate future traffic growth. “Planning and preparations have been under way for almost two years in close coordination with Dubai Aviation Engineering Projects, airlines, dnata, the regulator and a host of other service partners to make sure this massive project goes off without a hitch,” said Paul Griffiths, CEO of Dubai Airports. 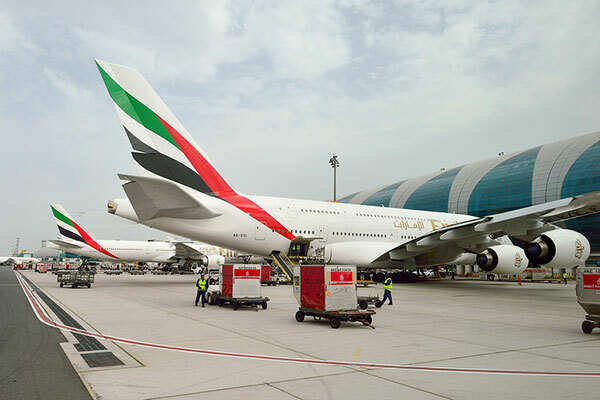 The main visible difference for passengers will be a potential change in airports, although scheduling experts have optimised DXB’s one runway operation to the point where there will be only a 29 per cent reduction in the number of available seats. Thanks to the additional capacity provided by DWC, the number of flights across the Dubai Airport system will see a reduction of just 19 per cent and a seat reduction of just 20 per cent. Many customers will get to experience the speed and convenience of Dubai’s second airport Dubai World Central (DWC) for the first time during the closure as it takes on additional traffic from affected scheduled, charter, cargo and general aviation operations. DWC will handle an average of 145 passenger flights per day operated during the period by airlines including flydubai, Wizz Air, Aeroflot, Indigo, SpiceJet, Gulf Air, Ukraine International Airlines, Ural Airlines, Nepal Airlines, Kuwait Airways and flynas. The last piece of ground equipment to DWC was delivered yesterday (April 14). The logistics of the equipment move were managed by dnata and were tantamount to opening up an airport the size of Glasgow overnight. In just a few days over 600 pieces of equipment have been moved to DWC in order to handle the additional traffic and ensure a seamless and smooth operation from day one through to day 45.